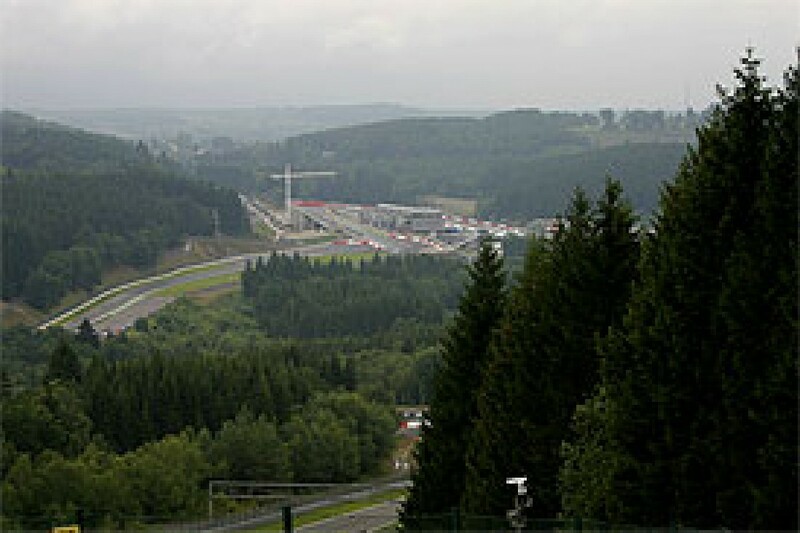 Last week's three-day Formula One test at Spa was quite an occasion, if only because it was the first such event at the spectacular Belgian venue for a very, very long time. Back in April 1983 the revised track, already in use for some four years by F2 and touring cars, played host to F1 cars for the first time. 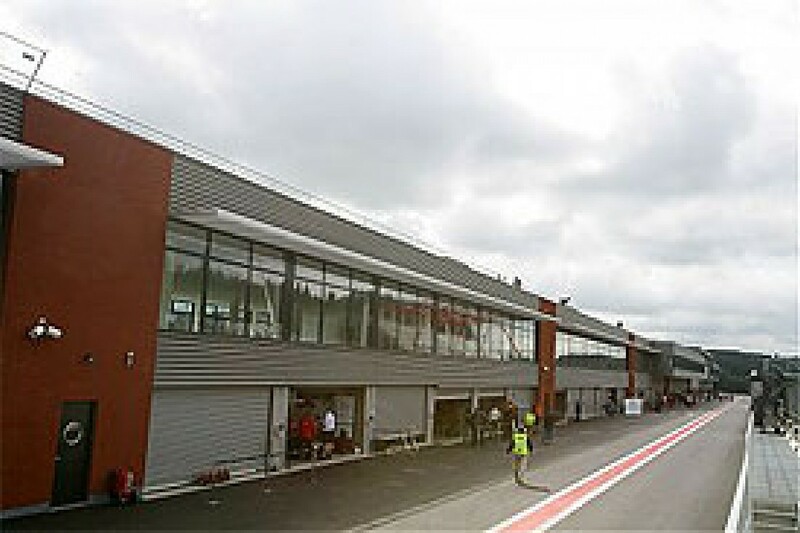 It was a month before the first Grand Prix, and the new pit buildings before La Source were still under construction. Many of the drivers there that week had not driven at Spa before. Indeed, anyone whose F1 career fell between 1971 and '82 never got the chance to sample the place in either of its incarnations. With the flat bottom turbo cars of '83, Spa proved quite a challenge, and it was love at first sight for all the drivers - and this was at a time when the schedule still included challenging places like the Osterreichring, Zandvoort, Brands Hatch and Kyalami. The first race that May was a great success, and apart from the unfortunate glitch with the botched resurfacing in 1985, the place has thrived ever since. It's unclear if there were any other tests in the very early years, but certainly from the nineties on, Spa was to remain a strictly once-a-year experience, to be relished in much the same way as Monaco. The fact that most of the original section of the track remained in daily use made closing it for testing less than practical. The only team that have had the opportunity to run there were Toyota, in the very early days of their F1 prototype testing, in 2001. The team have been back since to run shakedowns on parts of the track, while Renault went there with Heikki Kovalainen in 2005, with the specific aim of checking how a revised oil system coped with the loadings of Eau Rouge. The Finn found the return runs, back down the hill, to be quite exciting. The bottom line is that last week's test was something special, giving teams and drivers a chance to log some serious mileage prior to September's race. It was a welcome first chance in an F1 car there for Nelson Piquet Jr - whose dad was at that very first test - while others such as Giedo van der Garde, James Rossiter and Sebastian Bourdais can now also say that they've sampled the best track in the world in an F1 car. The occasion also marked the baptism, at least as far as F1 is concerned, of the biggest set of updates the track has seen since 1983. Over the years there has been some tinkering with various corners, in particular Eau Rouge of course, but nothing on the scale of what has been done this year. The Bus Stop has now been replaced by a new and very tight right/left combination, which leads on to a much longer pit straight - and one that lives up to its name, because it no longer has a curve at the beginning of it. The straight is also wider, flatter and smoother. There's a lot more room at the exit of La Source after some major work on the outside. But the really impressive job is the upper level of the paddock, which is now much bigger. It has been extended in the direction of the chicane, with a great chunk of stands on columns, including two levels of parking down below and access by lifts straight into the paddock. The cramped, single storey pit buildings that were unveiled for the 1983 race have finally disappeared, to be replaced by a mighty new complex with offices and hospitality facilities above. The pitlane is much wider than it was, and the new garages are huge and well equipped. The problems that had for so long frustrated teams have now been addressed, and then some. Opposite the pits, there's been a massive amount of earth moving. A permanent 4,000-seater grandstand is the last of the construction work to be finished - a crane was busy swinging over the track even when the cars were running - and some temporary ones will sit alongside it. There is now much improved spectator access to this part of the venue. Inevitably, the Ardennes rain caused a few frustrations (although the weather is poor all over Europe at the moment). In fact, with the 'Ring coming up and the September race weekend likely to see some more precipitation, a little wet running was not unwelcome. Everyone seemed to be happy to be back, and there was a general feeling that Spa was a pretty good place to come and test, and not just with the Belgian GP in mind. It might be sunny in Spain, but it's a long trek. "I am impressed," said veteran Williams test team manager Dickie Stanford. "It's like the rest of the circuits around the world now, and it's really good inside the garages. They've looked at other places, and done the job. "Everything that you need is in the garages. It's involved massive engineering works, I never thought I'd see the amount of work they've done, especially the way they've cut into the bank on the other side of the straight. The only negative side is the weather. At least with Spain you can hope for better weather." "They've really improved the whole infrastructure," said Toyota team manager Richard Cregan. "It's beyond what we could have expected. I think they've done a fantastic job, especially in the time they had available. We were here in February, I think it was, before they took away everything, and then four months on and everything is new. "For us (at Toyota) it's an hour and a half down the road (from the factory, at Cologne). It's very convenient, and if you're trying to get bits to a place quickly, it's a lot easier than trying to get them down to the south of Spain! "Then again, it's quite central. It's not too far away for the British teams. The only thing is that you do have to wait a little bit longer in the mornings for the weather to lift and for the track to dry off, but generally it's good." Cregan confirmed that the teams were not just thinking about September: "You've got everything in it - high speed, low speed. I think whatever you want to test for, you can probably do a lot of it here. There's no reason why we couldn't be preparing for Nurburgring or a number of other races. "It's a good circuit to test on. It's one of the greatest circuits in the world anyway. The other thing is that these days, with everyone in the same place, the track rubbers in quite quickly, and on top of that, you've got some comparisons." So what of the drivers? Inevitably, they enjoyed being back after nearly two years away. Unusually, the track changes seemed to go down pretty well, but there was one common disappointment. 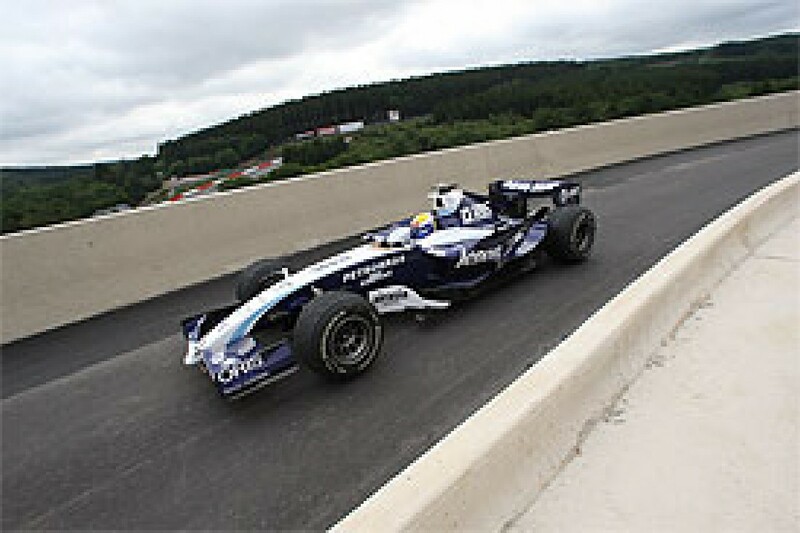 Everyone reckoned that with V8 power levels, any challenge had been sucked out of Eau Rouge. It still made for great viewing, however. No one was happier to be back than Williams driver Alex Wurz, who had not sampled the track since his 2000 season with Benetton. "The general feeling is that there are not many tracks left with super high speed corners, so that's quite nice," said the Austrian. "With the V8 car it's less of a ball breaker in Eau Rouge, because it's flat even on high fuel. It's even flat on intermediates. So that's a shame. But it's still Eau Rouge, it's high speed and bumpy, and it's still cool. "La Source is better, the exit is much wider. It's maybe better for the start. And I quite like the chicane. The Bus Stop was tricky, but this is better. It's pretty slow coming out, but at least it has something, changing cambers and so on. It's much better than that slow chicane at the Nurburgring." But will it encourage passing? "You can maybe try an optimistic manoeuvre there, but I don't think you can get that close in Blanchimont. You have to be pretty damn sure about the braking point!" On pole for Renault at Spa in 2004, Jarno Trulli is a little more optimistic about the chances of seeing some action there. "Definitely," the Italian said. "As well, you might have some chance into the hairpin, although the straight is a bit short. "But with the V8, it's nearly flat everywhere. It was harder before, I believe. I remember in Magny-Cours this year I was so impressed, we were going through the chicane, through the corners, so quick. It was so difficult to make a difference, because anyone could do that. Too much grip, I would say. And here, it's easy. Blanchimont is not even a corner anymore; flat in the wet, flat in the dry." There was one change that the drivers were not happy with, though. To a man they were concerned about the tight left-hand turn into the pit entry, which is in effect a narrow concrete tunnel. I stood right on the end of the pit wall to watched the cars coming in, and it was indeed a bit tricky. The drivers head straight towards the pit entry from the middle of the new chicane, and have to stand on the brakes as they turn into it. Anyone who gets it wrong, far from impossible in the wet, could block the entry. As indeed could a car grinding to a halt with a transmission problem or similar. It could all be a bit difficult if the field is charging in as one during a safety car period. "I'm not happy with this," says Wurz. "Because it's such a tight corner, and you really have to concentrate not to hit the wall. And if somebody hits the wall, the pit entry is blocked. They maybe could have done it a bit better." "The only down point is the pit entry," agreed Trulli. "It's a bit narrow, and a bit dangerous. I think we need to have a change. An F1 car can hardly go through there. Imagine if someone misses it and crashes into the wall, nobody can come in. It needs to be rethought." "If a car has a problem and stops," said Super Aguri's Takuma Sato, "and someone else is coming, it can be quite dangerous. It's blind." It remains to be seen if anything can be done. 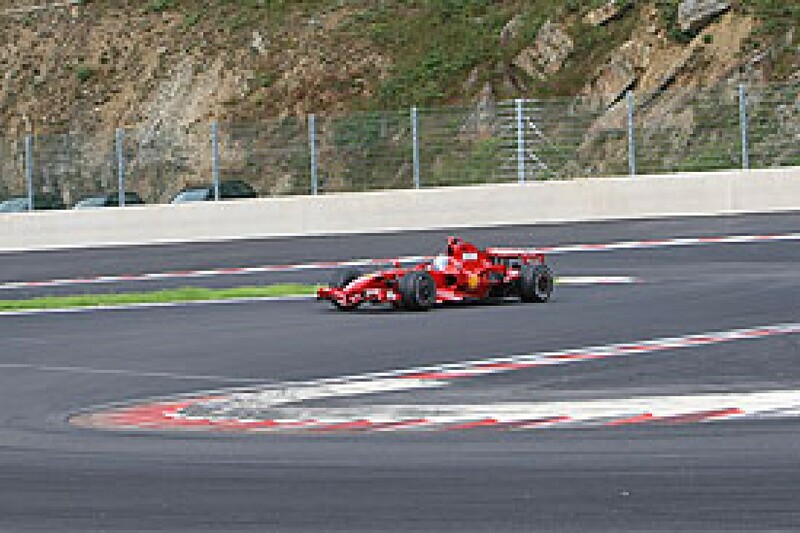 The wall on the right stands in front of a sheer drop, and the one on the left is the barrier protecting the exit of the chicane. There's not a lot of room for manoeuvre, and apparently one of the walls was already moved after the domestic 12 hours race in June, when a towing vehicle was on permanent standby in case of blockage. Hopefully the Spa test will become a regular feature on the calendar. Certainly the organisers did their best to make it pay, charging folk 20 euros for entry, or a mere five if they had booked a ticket for the race weekend. That was pretty good value for seeing 11 cars running all day long. A PA commentary thrown in, and there were even busy souvenir stands behind the grandstands. Local press reports said that there were eight to ten thousand people on-site on Tuesday, and at least 14,000 on Wednesday (a public holiday in that part of Belgium). It was certainly pretty busy on Thursday. There were apparently long queues at the gate, and on that busy middle day they actually ran out of tickets to hand over, because the numbers were way more than had been expected. Many of the spectators had never previously seen F1 cars in action, and as a promotion for the main event, it worked very well. Whether they will now be willing to pay full price to come back in September remains to be seen. The likelihood is that attendance from Germany will be down with no Michael Schumacher to behold, while the recent departure of Christijan Albers may be even more of a blow - Spa was the closest thing to his home race, and thousands of Dutch fans were expected to make the pilgrimage. Failure to make the event pay its way is why the Belgian GP has had such a chequered history in the recent past. It disappeared from the schedule in 2003, and was absent again last year after a new and enthusiastic promoter struggled to make ends meet. After keeping his distance for a while, it seems that once again Formula One supremo Bernie Ecclestone is closely involved in Spa's commercial arrangements, and he should know how to make it work, if anyone does. Ecclestone has dealt with several generations of local and regional politicians since 1983, but despite the odd fight, he keeps taking Formula One back, and every race fan can rejoice that this magnificent venue is alive and well.